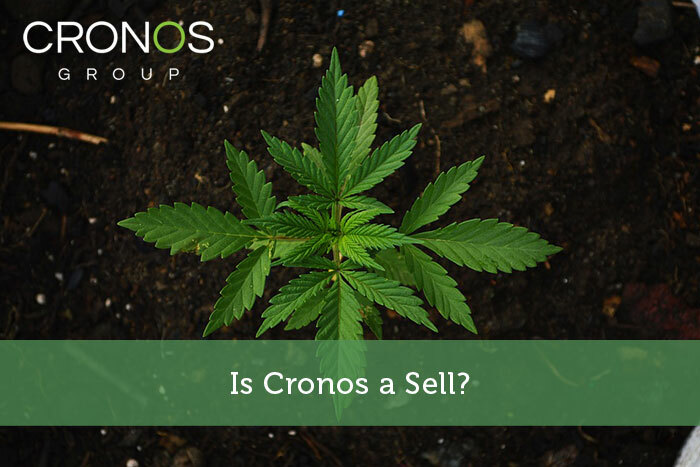 Cronos Group Inc (NASDAQ: CRON) shares dropped around 10% yesterday after three analysts downgraded the stock. The company has returned 145% in the past year. The analysts were not satisfied with the company’s recent Q4 results and also felt the valuations are high. Cronos released its results on March 26, 2019. Revenue for the fourth quarter rose 248% to C$5.6 million. Earnings per share came at -$0.06 compared to -$0.01 for the same period last year. The company missed the analyst’s median revenue and EPS estimates. Canaccord downgraded the stock to sell from hold. “We note that CRON’s first full quarter of recreational sales fell well behind its large-cap peer group, which reported net revenues that ranged from C$21M to C$83M for the same period,” the analysts wrote in a note to clients. For the full year, revenue rose 285% to C$15.7 million. Dried Cannabis contributed to 81% of 2018 revenue and Cannabis Oil (19%). Net loss of C$19.2 million compared to a net profit of C$2.5 million in 2017. Adjusted EBITDA for the 4Q 2018 was -C$14.6 million compared to -C$4.4 million for 4Q 2017. It sold 2,737 kilograms in 2018, up 331% y-o-y when compared to 2017. Operating cash flows were C$23.5 million compared to C$2.5 million for the same period last year. The company used C$47.3 million for investing activities primarily C$4.3 million in advances to joint ventures and C$42.5 million in capital expenditures related to Cronos Israel and Building 4. The company’s portfolio includes Peace Naturals, a global health and wellness brand, and two adult-use brands, COVE and Spinach. Peace Naturals is situated on approximately 90 acres of land. It operates four fully-operational production facilities and also recently completed the partially-licensed 286,000 sq.ft production facility (Building 4). In March 2019, the tobacco major Altria completed the C$2.4 billion investment in the company for a 45% stake. Altria has also the option to take a majority stake in Cronos in the future. The deal is expected to give Cronos the much-needed capital and also the expertise of Altria in marketing Cannabis. Altria has expertise in the regulatory aspects which the firm can use it efficiently. Cronos could increase its production. On the other hand, Altria can tap the growing marijuana market and also it benefits from diversifying beyond the slowing cigarette market. On completion of the deal, the Cronos Group Board expanded from five to seven members. The company also sold the 19% interest in Whistler Medical Marijuana Corp to Aurora Cannabis for C$175 million in stock. Conclusion: With the strong run-up in the Cannabis stocks on the bourses we could see some profit booking. The Cronos Group cash position has improved after the Altria deal and revenue growth continues to be strong.